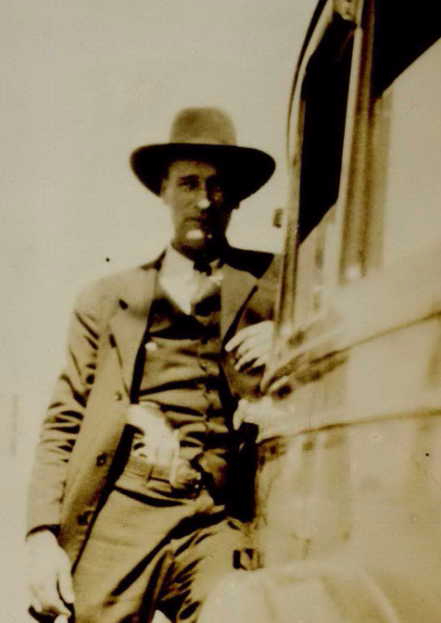 Deputy Sheriff Almer Terry and Deputy Daniel Kenyon were shot and killed by members of the "Cotton Top Walker Gang" who had just robbed a bank. The deputies received a tip that the gang would be robbing the bank and went to stop them. Both deputies were shot and killed as they arrived at the bank. 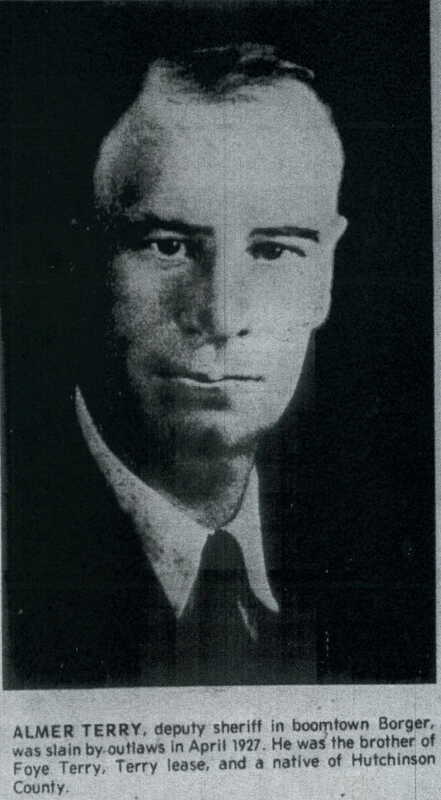 Both deputies had been appointed on January 3rd, 1927, and had served with the agency for only three months. Deputy Terry was single and had no children. 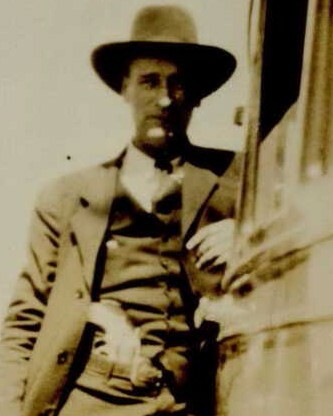 He was buried in the White Deer Cemetery in Carson County, Texas. Almer Terry was my dad, Foye Terry, brother. My father told me so many great stories. They looked like each other.